I mean, be honest here! Who in the world doesn’t love sprinkles?! Sprinkles make the world go ’round. Sprinkles bring happiness and joy. Sprinkles are what smiles are made of. Sprinkles…totally rule! And pancakes…who doesn’t love an amazing, buttery, soft, amazing pancake?! I mean…seriously…they are one of life’s most perfect food. Don’t argue this with me. It’s true. So…imagine my glee…my elation…my “I MUST BUY THIS NOW AND EAT THIS” attitude when one day, while in Louisville and shopping the aisles of the Walmart Neighborhood Market (because, hey, it’s less skeevy than the regular Walmart), I spotted a gluten free mix that involved both sprinkles…and…pancakes. It wasn’t a dream. Nope. It was a reality. And this very special (and happiness-inducing) product is brought to your grocery store shelves by the one and only…Hungry Jack. Yes…the Hungry Jack known for potatoes and syrup and regular amazing pancake mixes. That Hungry Jack. Turns out they now offer a Gluten Free Funfetti Pancake & Waffle Mix. Yep…you read that right…Hungry Jack Gluten Free Funfetti Pancake & Waffle Mix. How many different ways can you say, “Get in my belly!”? I purchased this box of pancake and waffle mix back in…October. I had every intention of making them while my parents were visiting, but, instead, my dad requested lemon poppyseed muffins…so this had to wait. However…good things come to those who wait. And patience is a virtue. One I don’t normally have when pancakes and sprinkles are involved, but, hey, I can be an adult. I ended up bringing the mix with me to Columbus, Ohio, over the New Year weekend. It’s tradition to spend said holiday with my friend Jenn…and Jenn is quite open to gluten-free foods. She even has gluten free foods stashed in her kitchen for my visits. She eats said gluten free foods with me. Well, since Sunday we traditionally cook the breakfast, I told her I’d bring the mix and we could have some pancakes that morning. She upped the carb-fest with the promise of using up some more of the Magners Syrup we made when we made boozy waffles the last time I visited. The pancakes are super easy to mix up. The box says that 1 cup of the mix and 3/4 cup of water will make enough batter for 6-8 pancakes. This is false. Since there were 3 of us, this is what I made, thinking we all could have 2 pancakes, but I ended up adding more mix and water just to get the last necessary pancake for 6 pancakes each made from about 1/4 cup of the batter. So…trust me, you’ll need a slight bit more for those 6 pancakes. 8 isn’t happening. All that being said, when these were browning on the skillet, they not only puffed up beautifully, but they got that rich, golden color too. The pancakes had that nice crisp outside, but were cake-y and soft and fluffy on the inside. And…they had sprinkles. Seriously…so, so, so good. Kind of like eating a slice of cake for breakfast, because…sprinkles! All that being said, I am only now getting around to typing up this review. But in that time, I have also decided to give the waffle recipe a try. This just involved 2 cups of the mix (lots of sprinkles), 1-1/4 cup water, 1/4 cup vegetable oil (I substituted unsweetened applesauce), and 1 egg (or egg replacer). Just stir it up until you get rid of any large lumps…pour into the waffle iron…and let them cook to that perfect golden brown. This made 6 large Mickey Mouse waffles…but the box claims it will make 12 (4×4-inch) waffles. The waffles were even better than the pancakes. And for the first time, my gluten free waffles got to a perfect golden brown on the outside. I was so impressed. And when I served them up (with a splash of real raspberry maple syrup from Michigan), it was like…a food epiphany. I mean…cake. Cake all over the breakfast plate. Not only were my waffles Mickey Mouse shaped, but they had sprinkles in them…and looked and tasted like an indulgent treat. Oh yeah. So…I had the mix as pancakes…and then as waffles…so…how was it? The product that the Hungry Jack Gluten Free Funfetti Pancake & Waffle Mix produces is fantastic in either form. From the splattering of rainbow sprinkles to the rich, buttery flavor that comes from the buttermilk base…it’s pancake perfection. A rainbow of pancake perfection. These are the unicorns of gluten free pancakes. The pancakes and waffles are soft and fluffy on the inside, golden and crispy on the outside. And that…it pancake and waffle perfection if you ask me. In addition, this mix actually is a good source of calcium. And a nice way of having candy (or sprinkles) for breakfast. I might still be a little (or a lot) excited about these. Anyway, as always, let’s take a look at what goes into the Hungry Jack Gluten Free Funfetti Pancake & Waffle Mix. This mix is made from rice flour, sugar, dextrose, leavening (baking soda, calcium phosphate, sodium aluminum phosphate, candy bits (sugar, vegetable oil [palm and palm kernel], modified corn starch, confectioners glaze, soy lecithin, colored with [yellow 5, red 40, blue 1, yellow 6]), potato starch, pea fiber, buttermilk, tapioca starch, canola oil, and contains 2% of less of: salt, potassium bicarbonate, hydroxypropyl, methycellulose, xanthan gum, calcium carbonate, eggs, artificial flavor, cellulose gum, yellow 5, and red 5. Yeah…not a very clean eat, but nice for a treat every now and again. As far as nutrition goes, the mix isn’t too bad. The serving size is 1/3 cup of the dry mix (or about 3 4-inch pancakes) and the box contains about 11 servings. This serving will dish up 190 calories, 1.5 grams fat, 0 grams saturated fat, 0 grams trans fat, less than 5 mg cholesterol, 540 mg sodium, 40 grams carbohydrates, 2 grams fiber, 10 grams sugars, and 3 grams of protein. Despite being a pancake and waffle mix with sprinkles in it…the fiber and protein is higher than most to make you feel full longer. So, there is that. There is also 15% calcium and 4% iron in each serving. So, yeah…delicious, amazing, fun, and fluffy…it’s everything pancakes should be. It’s everything waffles should be. And it is what so many gluten-free pancake mixes fail at being. I loved these. I have no shame in admitting it. It’s nice to change things up and have a bit of a treat every now and again. This mix was a fun, and also delicious way of brightening my breakfast plate…and my morning. It seems like ages ago, back on a trip to Birmingham, Alabama, when my parents first took me to Organic Harvest, the latest and newest health food store in their area. I was gobsmacked by the amount of products inside this store that I had never seen before. I might have heard of the brand, but the product itself or even the brand, was not available to me in any convenient form. So, naturally, I went on a shopping spree. Well, I get very overburdened with mixes. I do this to myself, naturally. I just get really, really excited when I see something new. Or course, as of late, I’ve been making a point of eating more unprocessed foods for breakfast than something that comes out of a box (cereal included) or from a mix. So, yeah, the pantry is well stocked with so many mixes that I honestly just need to work through. And as this one was (obviously as the packaging has been since updated) nearing expiration…it was time to use it up and move it out. So, out came the Zema’s Madhouse Foods Gluten Free & Sugar Free Peruvian Sweet Potato Pancake & Waffle Mix. 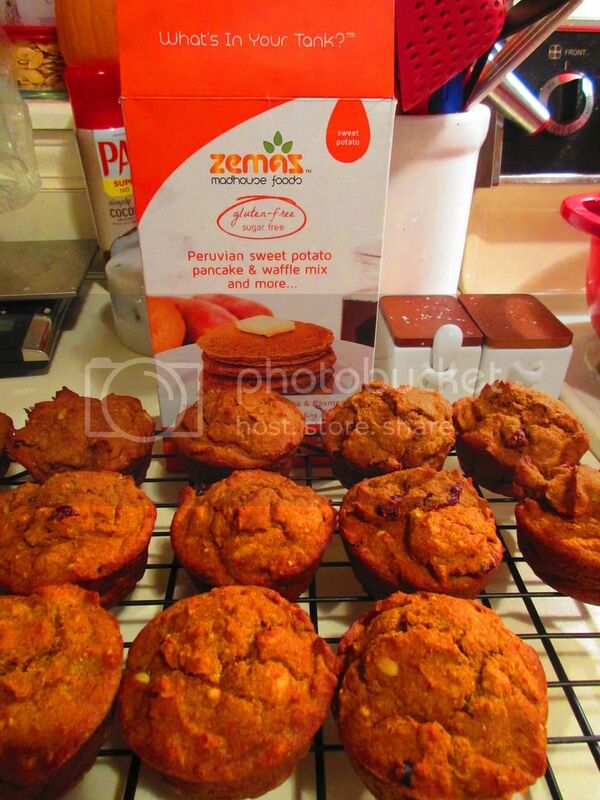 Zemas Madhouse Foods is committed to manufacturing gluten-free, ancient grain baking mixes that help support a clean eating lifestyle through the use of minimally processed ingredients that can be safely incorporated into diets that are limited, allergy-free and diabetic. 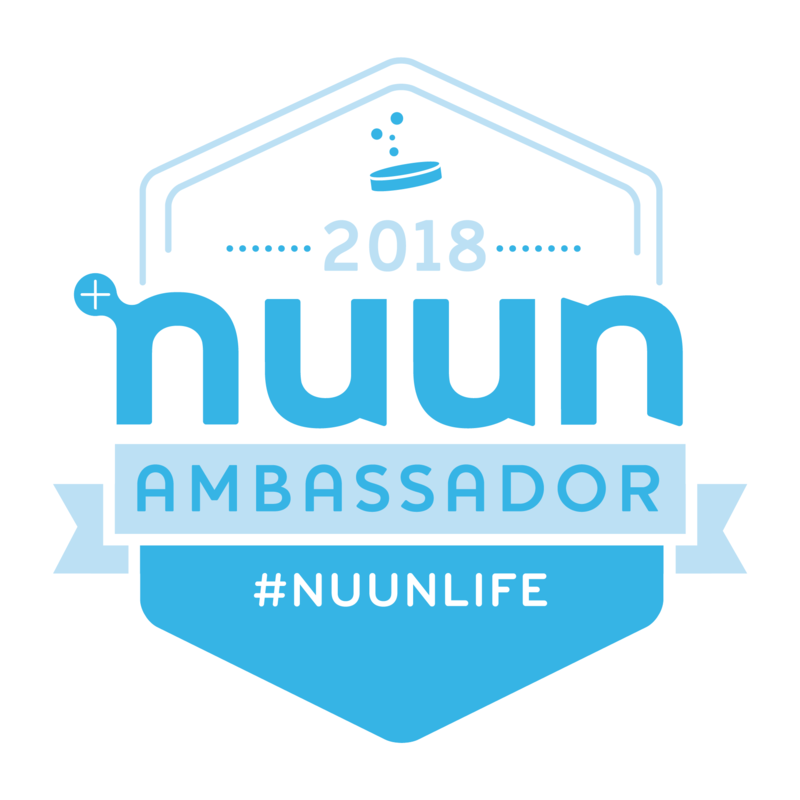 They are committed to keeping their products free of dairy, soy, rice, yeast, tree nuts, peanuts, sulfites, additives, trans fats, preservatives, and refined sugar. Now, I had high hopes for this mix. I was first introduced to Zema’s Madhouse Foods by Cuisine Cube when I tried their mix for Focaccia and/or Pizza Crusts. I loved it. So, the fact that I had another Zema’s Product (yes…I had this one before Cuisine Cube sent theirs), I had very good expectations for this. But…why stick to something as simple as the box exclaims. After all, this is a pancake and waffle mix, and there are recipes for both on the back. But I am really pancaked out these days and waffles are great…but a pain to make (time consuming, really). So…I opted for the other recipe on the box, making a few minor adjustments to fit what I had in my pantry and my own idea of what constites a Harvest Muffin. Oh, yeah…I made muffins with the Zema’s Madhouse Foods Gluten Free & Sugar Free Peruvian Sweet Potato Pancake & Waffle Mix. Yes. Muffins. I sort of ripped off Udi’s version of a Harvest Muffin, but utilized most of the recipe from the back of this exact box. YAY! The recipe will follow, of course. Naturally, I can’t bake something and not try it. How else am I going to report on it? So, after these came out of the oven and rested for 10 minutes in the pan, I removed them and put them on a wire rack to cool the rest of the way. After running some gluten-free and dairy free goodies downstairs to my neighbors, I came back upstairs and decided that both my roomie and I had an obligation to see how the muffins turned out. If they were crap, well, we certainly didn’t have to keep them. But…if they were good, they were getting bagged up and put in the freezer for those stressful and hectic days where cooking a breakfast is just not feasible. Let me tell you…Zema’s Madhouse Foods Gluten Free & Sugar Free Peruvian Sweet Potato Pancake & Waffle Mix is amazing. Seriously. Okay…so the muffins are a little dense…but I’ve grown to that being mostly the norm when it comes to gluten-free goodies (especially of a bread-like quality) that I bake. However, there is a lot of flavor in each and every bite of these muffins. And I absolutely love the combination of the sweet potato and pumpkin flavors, making this a perfect autumn mix for any sort of morning recipe…even pancakes and waffles. Just…really good. And not overly sweet either, which is a nice change. I love dessert as much as any girl, but I mostly want my muffins to be muffins, not a fruit/veggie based cupcake. But, maybe that’s just me. The fact that there is no added sugar in the mix is a big plus with me, as I am working on cutting down on the amount of sugar I eat every day. I also love that this mix is made with the superseed trio of hemp, chia and flaxmeal. Flax is one of the best gluten-free plant-based sources, which contains alpha-linolenic acid, which converts in the body to the same heart-protective Omega-3 fatty acids found in salmon, sardines and mackerel. It also contains 3 grams of fiber per tablespoon, which promotes intestinal health. The chia seeds (like chia pets, yes!) are also naturally gluten-free and contain Omega-3 fatty acids, soluble fiber, calcium and protein. LOVE a breakfast that packs a bit of extra nutrition into each and every bite through healthy and beneficial ingredients. This might be a mix, but it has great ingredients making it a better choice than all the lack-luster and nutrient-sparse mixes on the shelf. Oh yeah…have your breakfast treat and treat your body too. Now we’re talking. Let’s discuss the ingredients that go into Zema’s Madhouse Foods Gluten Free & Sugar Free Peruvian Sweet Potato Pancake & Waffle Mix, shall we? This mix is made from sorghum flour, organic flax seed meal, sweet potato flour, potato starch, organic quinoa flakes, tapioca flour, aluminum free baking powder (monocalcium phosphate, baking soda, corn starch (made from non-GMO corn)), hemp seeds, organic cinnamon, contains less than 2% of each of the following: baking soda, chia seeds, xanthan gum, sea salt, organic ginger, and nutmeg. This product is manufactured in a dedicated gluten-free facility free of the top 8 allergens(milk, eggs, peanuts, tree nuts, soy, wheat, fish, shellfish). It is vegan, gluten-free, kosher, and verified non-GMO. As for nutrition information, here you go…a serving of Zema’s Madhouse Foods Gluten Free & Sugar Free Peruvian Sweet Potato Pancake & Waffle Mix is 1/3 cup of the dry mix (44 grams), and the box contains around 6 servings. In each serving, you will be taking in 150 calories, 4 grams fat, 0 grams saturated fat, 0 grams trans fat, 0 mg cholesterol, 510 mg sodium, 29 grams carbohydrates, 5 grams fiber, 2 grams sugars, and 4 grams of proteins. This one might actually be the best nutrient-packed mix out on the market to be honest. WOW! Preheat the oven to 350°F and spray a muffin tin with non-stick spray. In a medium mixing bowl, combine the mix and xanthan gum. Set aside. n a large bowl, whisk all liquid ingredients together. Add the dry mix to the wet mixture and combine, Add in the pepitas and craisins, mixing well. Fill muffin cups 3/4 of the way. Bake for 28-30 minutes. Check the doneness with a toothpick. Cool for 10 minutes in the pan, then take muffins out and cool on a rack. I have the remaining 17 muffins in my freezer now for hectic crazy days…but I already am looking forward into diving into them. I’m sure it won’t be long. If you are interested in a pancake mix with more benefits than sugar and fillers, I can’t praise Zema’s Madhouse Foods enough. Their Gluten Free and Sugar Free Peruvian Sweet Potato Pancake & Waffle Mix surpassed all expectations. And I didn’t even make pancakes or waffles with them. Go figure. Although, I am more than certain this mix would make some of the best pancakes or waffles out there. Next time I pick up another box of this mix…I think I’ll go for traditional pancakes and waffles. That being said…give this muffin recipe a shot! And seek out Zema’s Madhouse Foods in your natural food stores…or order online! It’s worth the hunt.